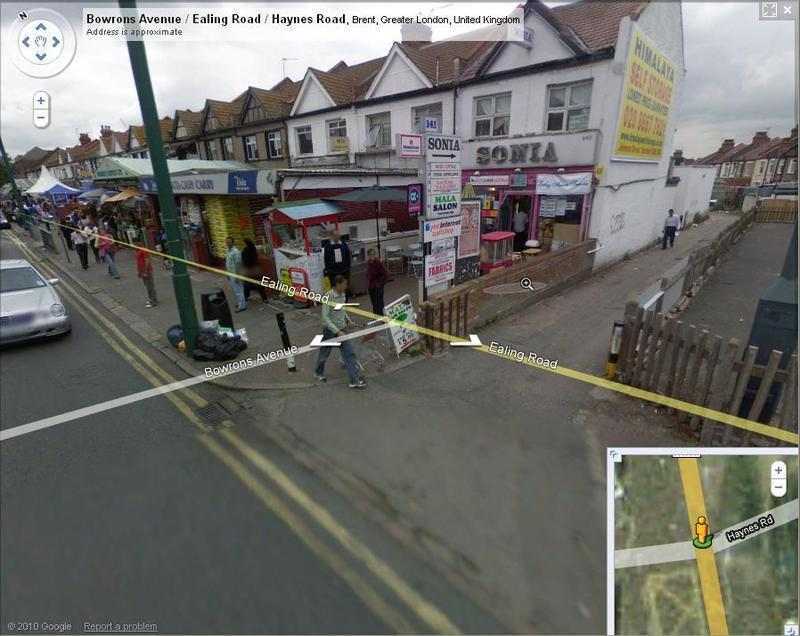 You can get off at Alperton tube station and walk towards VB & Sons cash and carry as shown in the map. 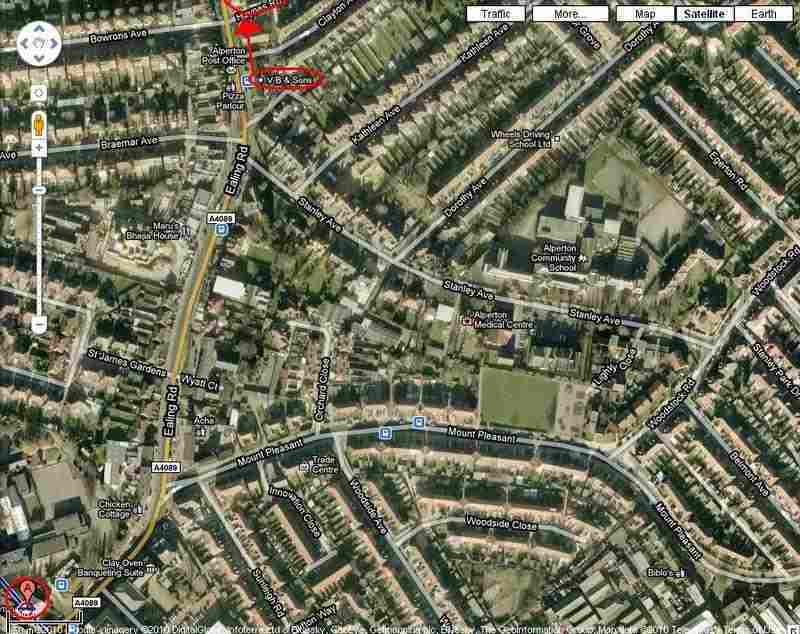 From there see the red arrow in the map. Look out for this board. Q. Where can I get authentic maharashtrian misal pav in London ? Ans. 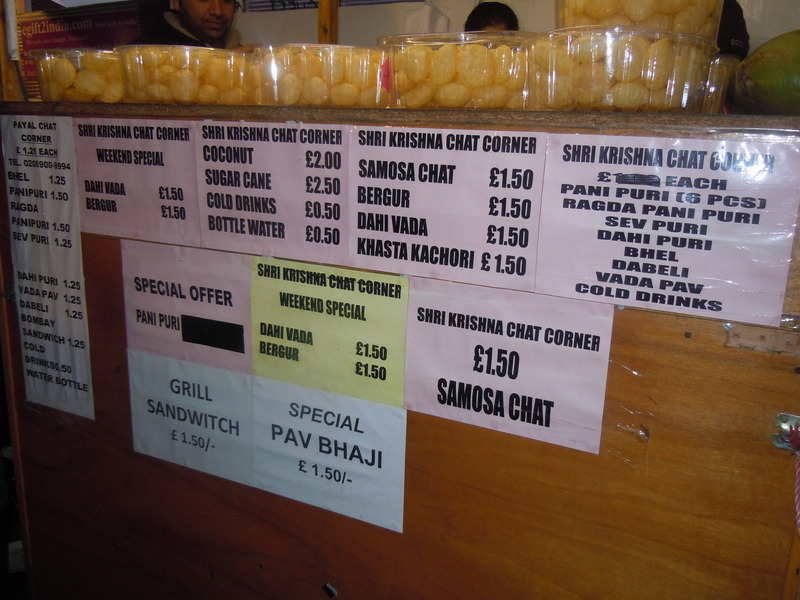 Click on maharashtrian misal pav in London . 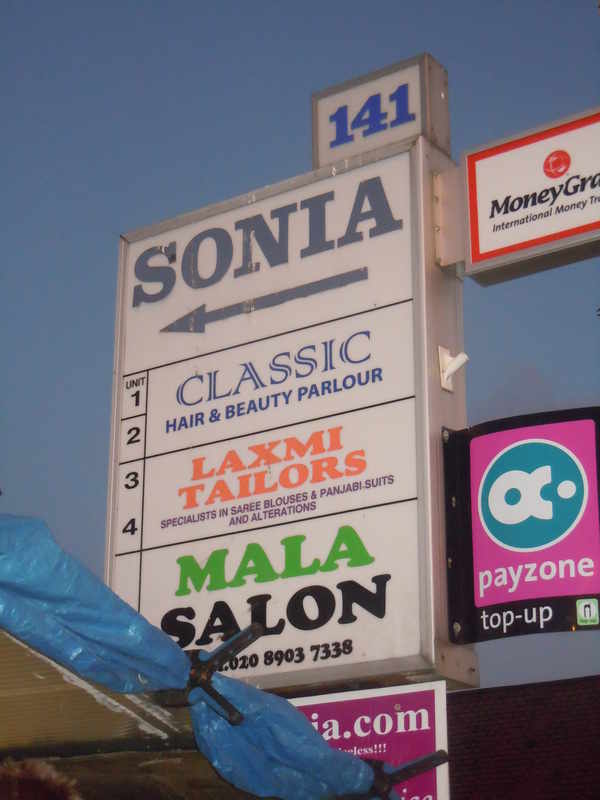 Girish says : "The last time I went here with my wife and parents, one of the shops seemed to have closed. However, there was another shop that was still opened. On asking the reason of the closure of the shop and less crowd compared to the last time I visited there, he told us that due to the strict UK Visa rules, many people have returned back to India and the other shop closed because it was illegaly opened. This shop had good food too but not as good as the illegal one. Moreover while going out of that place in Shruti's car, we saw a roadside moving `thela` on wheels(a wooden plank resting of 4 cycle wheels used to sell local indian snacks)". So you see, you will find Wembley full of delicious Indian snacks."